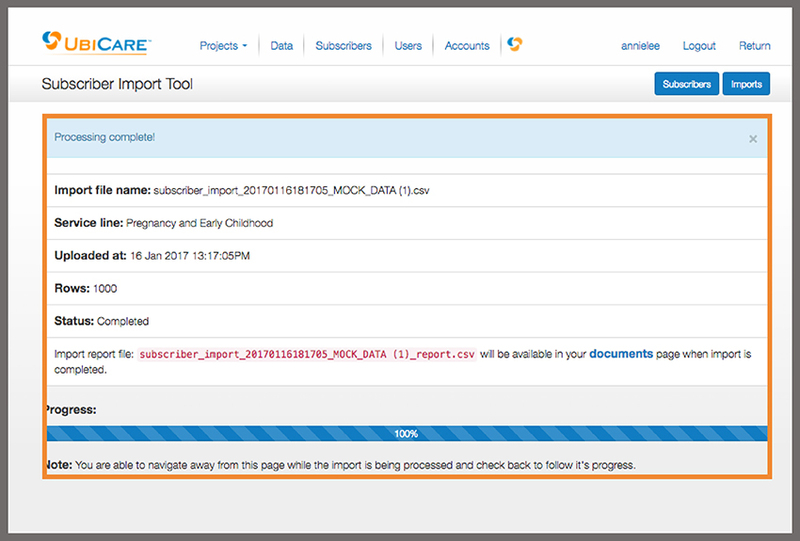 Importing subscriber lists is a quick and easy way to enroll many patients at once. It's also completely HIPAA-compliant to email patients educational information about their care without obtaining separate consent. Before you begin, please be sure you have followed the steps to prepare your CSV file for import and that the file is open and minimized on your computer. 7.) Match your spreadsheet's headers to the system's subscriber fields. 5.) Scroll down and select a service line. 6.) Navigate to your .csv file and click "upload". 9.) When the progress bar reaches 100%, your import is complete. 10.) Go to the Data > Documents and open the file you just processed. All rows should indicate the upload has been successful. If you do not see this, please contact Client Success for assistance.